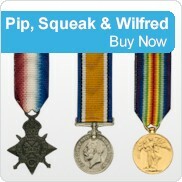 Miniatures are small versions or orders, decorations and medals. They originally appeared in the early years of the 18th century, but are now more or less universal, although the practice varies from country to country. In the United Kingdom miniatures are usually half the size of the full-size medals and are exact replicas as the badges they represent, and no additional rosettes or emblems are added.